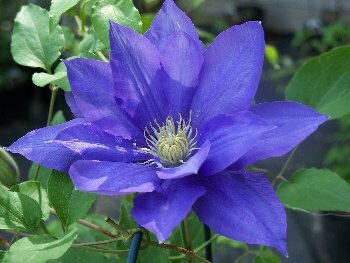 HF Young Clematis: dependable early blooms. and often repeats in late summer with never a hint of disease or winter damage. In an early spring, early blooms may be semi-double.